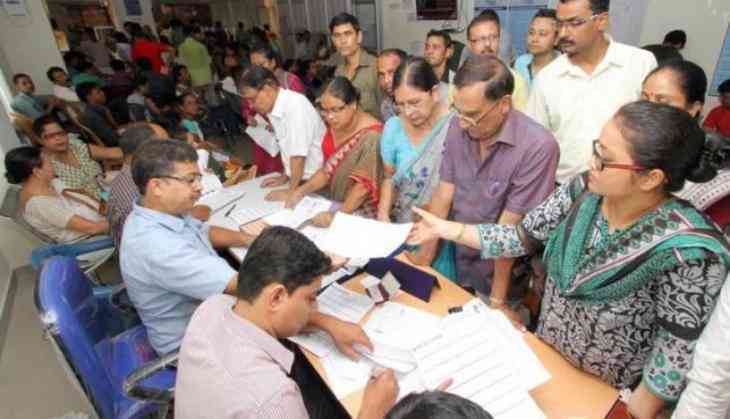 The National Register of Citizens or NRC final draft has been disclosed on the official site but the NRC regulatory body and also at all the Sewa Kendras (NSK) across the state on Monday, July 30. As per reports, the draft that contains 28, 983,677 citizens on the list has left around 40 lakh people's names missing on it. Assam NRC Coordinator also asserted that it is just a draft, and not the final list. Around 2,89,83, 677 (two crores eighty-nine lakhs, eighty-three thousand six hundred and seventy-seven) people have been found eligible among 3.29 crore total applicants. As per reports, the government has ordered prohibitory orders across the state and the announcement of the NRC draft was made under tight security. The first list of 1.90 crores was released on December 30. Those who have been left out can apply for claims and objections, said State NRC Coordinator Prateek Hajela. However, officials have also requested people not to panic if their names did not appear on the list as "all genuine applicants would get ample time for claims and objections". "Based on this draft no reference case will be sent to the foreigner tribunal or put in a Detention Centre," said Satyendra Garg, home ministry officer-in-charge of the northeast. Prateek Hajela said, "It's a historic day in the country and Assam towards the fulfilment of a major milestone of publishing draft under the monitoring of Supreme Court. The exercise of the NRC in its scale size is unprecedented." 5. Alternatively, the applicants can also call the 24×7 toll free helpline number 15107 if the applicant is calling from Assam and 18003453762 if outside Assam and refer to their 21-digit Application Receipt Number (ARN).